Get up and running quickly and efficiently with one of our clean and functional website layouts at an extremely competitive price. Our layouts all work seamlessly on desktops, tablets as well as smartphones making it accessible to all customers at all times. All layouts are customised to your branding and colours. Includes an eye catching video on home page, featured properties & valuation/register pages to capture leads. 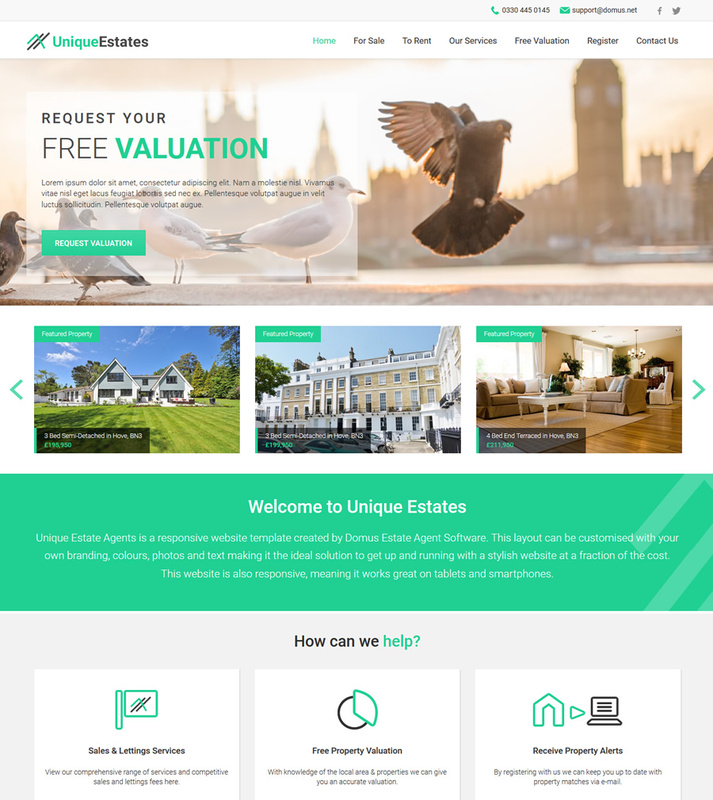 Includes a slideshow on home page, scrollable featured properties and eye catching valuation/register pages. 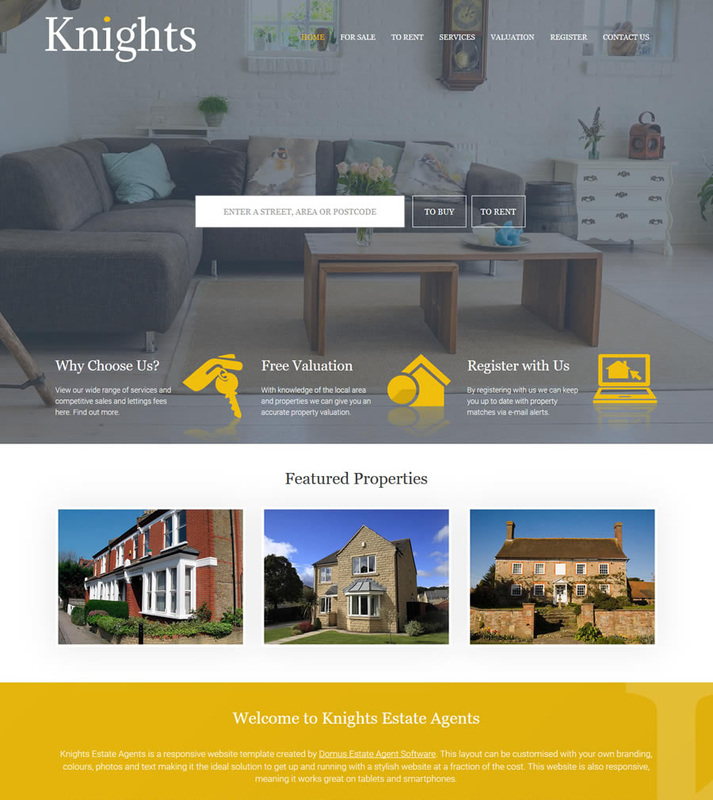 Includes a slideshow on home page, featured properties & stylish valuation/register pages to capture more leads. 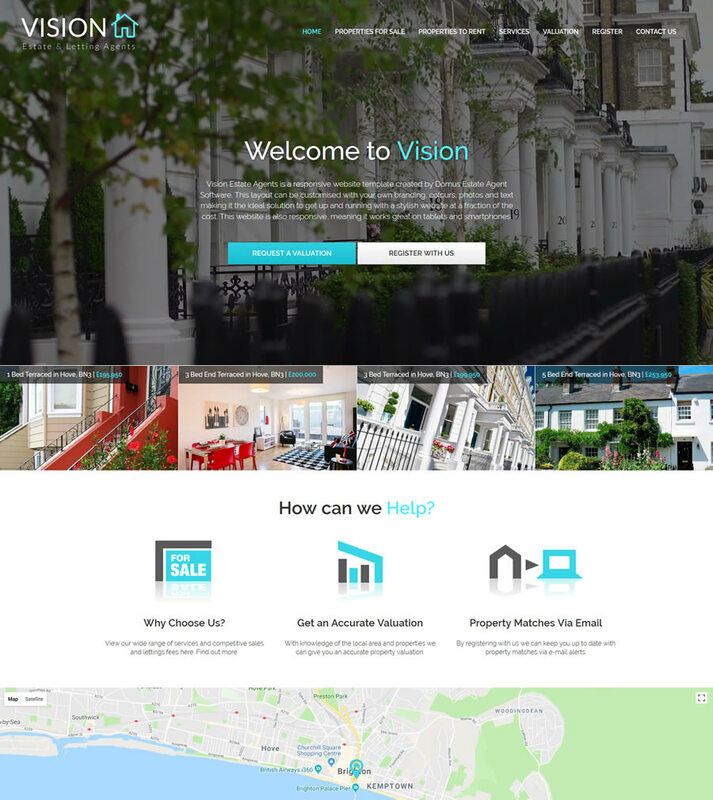 What do you get with our template website? * If you need extra pages or have any further questions call us on 0330 445 0145 or e-mail support@domus.net.